Flip a coin, if heads, then this move dose 100 more damage, if tails this dose 80 damage. 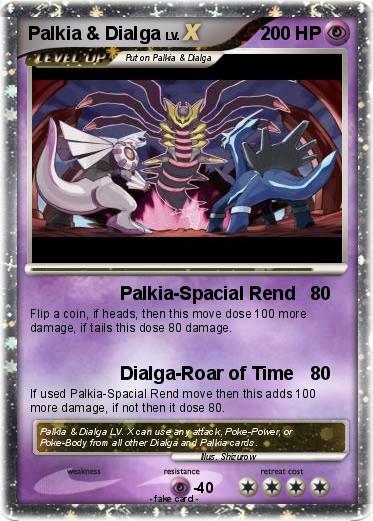 If used Palkia-Spacial Rend move then this adds 100 more damage, if not then it dose 80. Comments : Palkia & Dialga LV. X can use any attack, Poke-Power, or Poke-Body from all other Dialga and Palkia cards.